DK0010 series controllers are dual-loop process controllers and display instruments based on advanced microprocessor technology. 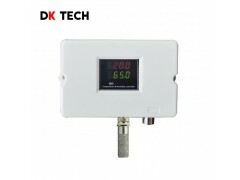 They can control and display process parameters such as temperature, pressure and flow. The instrument is flexible in setting, convenient in configuration and simple in operation. 12 types of analog input signals are supported, double input channels. Two way position control relay output, relay closing action can set action protection time interval. Input signal range: 12 standard signal inputs. Check mode: no check, odd check, even check. Communication data format: one start bit, eight bit data bits, one stop bit.